Dengue cases in Mumbai have increased by a whopping 265% from 2013-2017, said a report which added that almost 18 people have died every day from tuberculosis (TB) in 2016-17. According to Praja Foundations White Paper on The State of Health of Mumbai, 2017, cases of dengue in government hospitals/dispensaries have increased from 4,867 in 2012-13 to 17,771 in 2016-17. There has also been an increase in TB cases from 36,417 to 50,001 during the same period. As per the Praja report 32,862 people have died due to TB in the last 5 years from April 2012 to March 2017. However DOTS (Directly Observed Treatment, Short Course), the flagship government programme to tackle TB, saw a dramatic drop in enrolment from 30,828 patients in 2012 to 15,767 patients in 2016. At the same time the percentage of defaulters in DOTS centres has increased from 9% in 2012 to 19% in 2016, say the RTI figures. The survey conducted by Hansa Research over 20,000 households found a huge discrepancy in BMC figures and survey data. While the RTI data shows 17,771 dengue cases in government dispensaries/hospitals, the survey finds an estimated 109,443 dengue cases which could have been treated across all facilities both government and private/charitable. Similarly, RTI data on malaria cases were 11,607 while the survey estimates for total cases are 90,703. 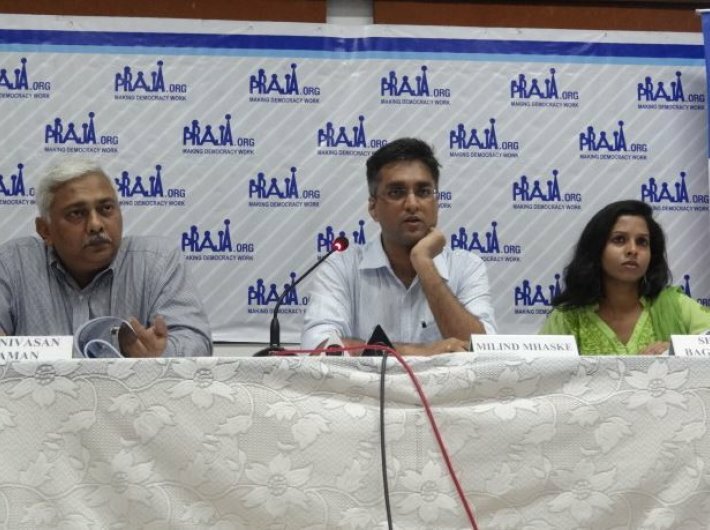 Praja findings also reveal that 71% families in Mumbai did not have a medical insurance in 2017. Also, municipal councillors asked only 45 questions during the past five years on TB. As many as 68 questions were asked on naming/renaming of hospitals/health centres/cemeteries during the same period.